Technology is constantly changing and this has had a huge impact on the way we commute. With 4.44 billion journeys in England alone throughout 2016/17, there has been a demand to make commuting an easier process — and the advancements in technology have allowed this to happen. To understand how far technology has taken us, we need to look at what buses were like from the very beginning. To do this, we’ve teamed up with the Oxford Tube, an Oxford to London coach, to take a look at how advanced our public transport has become over time. The world was changed when steam buses were introduced in the 1830s, pioneered by Walter Hancock in England. These were much more efficient to what were known before — horse-drawn transportation. A common problem with horse-drawn carriages was that they often overturned, but this was a problem that steam buses did not have to face. Steam buses travelled faster and were much cheaper to run, they also reduced the amount of damage caused on the roads. Electric buses soon came in to play in 1882, which were powered by a trolley pole accompanied with an overhead wire — meaning that there was no flexibility when it came to movement. William Siemen, who was based in England and his brother Werner, who lived in Germany, collaborated on the creation. Electric currents were able to run to the tram-car and back again, highlighting that tracks would no longer need to be used. Trolleybuses only came into service in the UK in 1911, with Leeds and Bradford being the first cities. London had one of the first motor buses on the roads in 1898, and it was what you would expect — a double-decker with an open-air platform. The bus had a maximum speed of 18kph and could hold 20 passengers at a time. With huge popularity, and requests from across Europe to have similar transportation vehicles, in 1902, a market standard was made available. A B-Type double-decker bus was one of the first that was mass produced across the UK, with 3,000 entering service in 1910. We still have single-decker and double-decker buses in transit fuelled by a diesel engine — the common propeller since 1920. If electric buses are on our roads, they’re no longer powered by overhead wires and usually contain their own battery supply which is often rechargeable at different stations. The way we access buses has also changed, as previously buses used to be high-floor vehicles. However, a low-floor design has been introduced to help with air suspension. Another benefit to having low-floor buses is that electric, under-floor ramps can provide access to wheelchair users and those who have pushchairs. Before such technology was introduced, wheelchair and pushchair users would have to use community transport that was provided locally — a separate vehicle fit for their needs. As technology becomes smarter, we have implemented this on our public transport vehicles. Using an online system, where drivers can use a touch-screen to calculate and print ticket prices, becoming a more efficient way of travelling. These machines do not require a costly wireless network, as they are usually connected by a low-cost general packet radio service that enable them to function. Transactions are then able to be viewed in the head office and allow the buses to be tracked all day — something that was once saw as an impossibility. This also includes a two-way driver messaging system and delivery of online card top-ups, ensuring that everything is achieved in a timely manner. Smartcards, whether this is through a smartphone or a multi-trip ticket, can now be read by a scanner. The scanner has the ability to read the ticket and determine whether it is still valid or not — instantly granting access and notifying the driver. With the recent introduction of contactless payments through bank cards, buses are quickly adjusting to these changes and aim to enhance and ease the consumer experience by featuring this in their vehicles — a stretch in popularity among people who are on-the-go and want a quicker interaction with the driver. 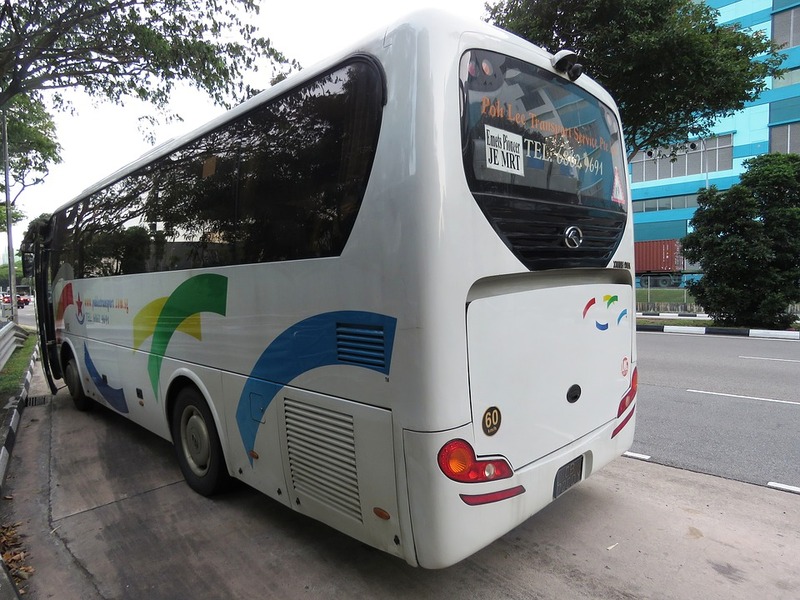 Service provider apps are also becoming more common, where commuters can present their ticket to the driver using their smartphone — if the app requires data to be used, connecting to the free bus Wi-Fi is an option to take. Not only is this useful for the app, but for people to browse the internet on their journey.